The Mt. Pleasant Rotary Club established the Rotary Scholarship Fund, an endowed fund of the Mt. 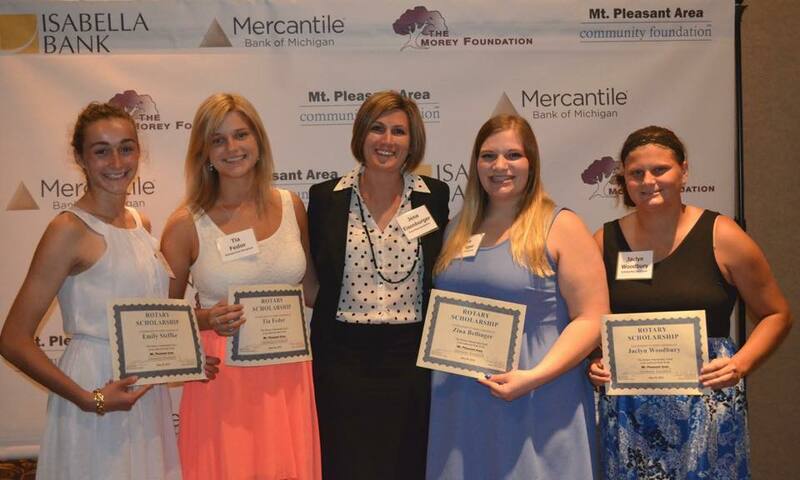 Pleasant Area Community Foundation, in order to provide assistance to local students pursuing higher education. The seniors selected to receive Rotary Scholarships each year have shown their willingness to serve through their activities in school, as well as in the community. Application information is available in January each year and students must apply online.